Having just passed the 50 registrations mark for this year’s edition of the NELO Summer Challenge, it’s amusing to see that there’s no lacking in creativity from our participants. After Tim Brabant and Ben Farrell opened the gates of the “alternative” profile photos, now that athletes from Vila do Conde’s local club joined the party and submitted even more crazy ones! 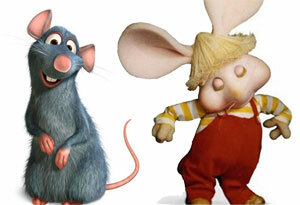 We at Nelo are all very curious to see who will win between Topo Gigio and the rat from Ratatoille. See all the photos in our entry list. The most original photo will win a very special prize (pictures must be related to canoeing or Nelo)! Register now.